Автор: Каминик В. А., Гринберг Е. Е. The book includes virtuosic music pieces of the English Renaissance composers from «The Fitzwilliam Virginal book» for traditional (traverse flute or recorder and lute) or modern (flute and guitar) instruments. 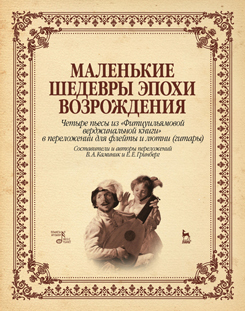 The composite book is intended for the students of senior forms of music schools, the students of music colleges and academies and for all who are interested in ancient music.